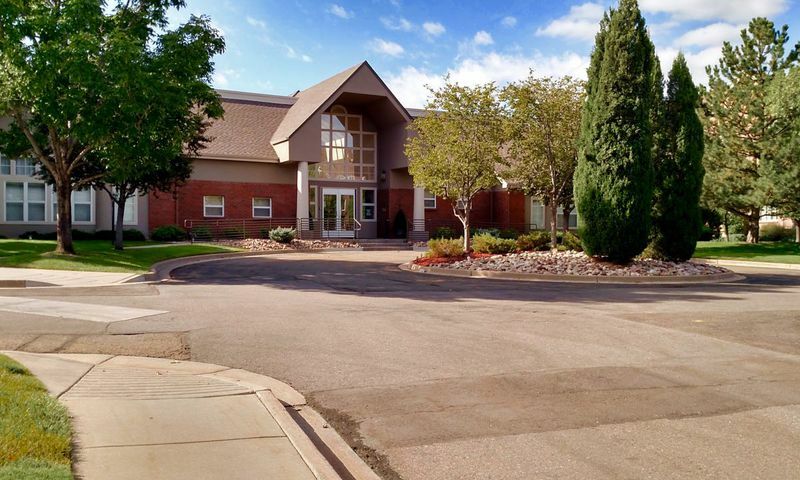 Centennial at RiverWalk is a 55+ condominium community in Littleton, Colorado. The 100 units that make up Centennial are situated within the master-planned community of RiverWalk. It s located near Santa Fe Drive and South Prince Street with easy access to downtown Littleton's entertainment options. Active adults enjoy their carefree lifestyles with low-maintenance homes and private amenities. RiverWalk's 12,000 square-foot clubhouse is available to all residents of the community and provides a great place to mingle over a cup of coffee or game of cards in the lounge. This fully equipped clubhouse is the perfect place to host or attend special events. It's complete with a dining room, bar, catering kitchen, and banquet room. Providing everything to stay both socially and physically active, residents also have access to the clubhouse library, billiards room, and exercise room. Centennial at RiverWalk s outdoor amenities include walking trails as well as an outdoor pool and patio. The Centennial at RiverWalk condo buildings were constructed in 1998. The master-planned community of RiverWalk is comprised of 552 residences, 100 of which are Centennial s 55+ condos. These low-maintenance age-restricted condos offer about 665 to over 1,300 square feet of living space. Most homes have one to two bedrooms, one to two bathrooms, and designated parking in an underground garage. Residents never have to worry about climbing stairs because there is elevator access on every level. Owning a maintenance-free condo in Centennial at RiverWalk allows residents more time to enjoy all of the community amenities and calendar of activities. Active adult homeowners can build a lifestyle tailored around their unique interests. There are several exercise classes that include hand and foot, chair yoga, water aerobics, and tai chi. Bunco, bingo, pinochle, dominoes, and rummy are just a few of the popular games that take place regularly at the clubhouse. Special interest groups and clubs include everything from golf and books to brunch and dinner outings. Regardless of your passions, you are certain to discover a new hobby while making lifelong friendships with neighbors who share the same interests at Centennial at RiverWalk. The condos at Centennial at RiverWalk are located on Riverwalk Circle in Littleton, Colorado. Residents have easy access to the RTD Light Rail station and The Shops at Aspen Grove. Downtown Littleton and Littleton Golf Course are both less than ten minutes away. Colorado is the ideal location for outdoor adventurers. Active adults who enjoy outdoor recreation will be happy to know that the state has 42 state parks, 11 national parks and monuments, and world-famous ski resorts. 55+ homebuyers looking for an affordable maintenance-free condo in a beautiful city should look no further than Centennial at RiverWalk. There are plenty of activities available in Centennial at RiverWalk. Here is a sample of some of the clubs, activities and classes offered here. The Centennial at RiverWalk's condo buildings are located at 2894 - 2896 W. Riverwalk Circle. This 55+ community in RiverWalk consists of 100 units that were built in 1998. These low-maintenance residences offer about 665 to over 1,300 square feet of living space. Most homes have one to two bedrooms, one to two bathrooms, and designated parking. Residents never have to worry about climbing stairs because there is elevator access on every level. Please Note: Due to the age of this community, floor plans are not available at this time. I bought my condo here last summer after a stressful chain of events. I needed something inexpensive that I could easily manage on my own and still be near my kids. This fit the bill and although it was a very quick decision and I wasn't sure at the time, I can look back now and feel good about it. At times I wish the amenities were a little more updated, like the gym, but I really don't use them much anyway. I spend a lot of time with my family and friends instead so simply the location and the fact that it's maintenance free is perfect for me. I will also say that the view from my condo is great overlooking the water! 55places.com is not affiliated with the developer(s) or homeowners association of Centennial at RiverWalk. The information you submit is distributed to a 55places.com Partner Agent, who is a licensed real estate agent. The information regarding Centennial at RiverWalk has not been verified or approved by the developer or homeowners association. Please verify all information prior to purchasing. 55places.com is not responsible for any errors regarding the information displayed on this website.